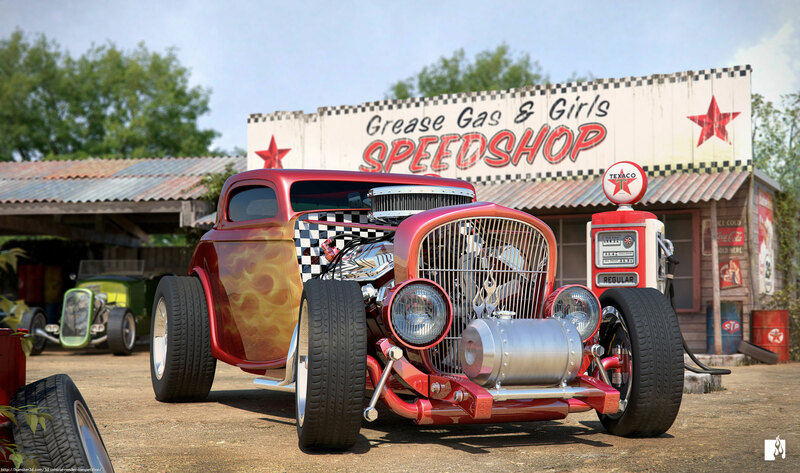 Hotrods, the typical American cars with large engines build for speed in front of a vintage gasstation/speedshop. No photobackdrops or premade hdri used. 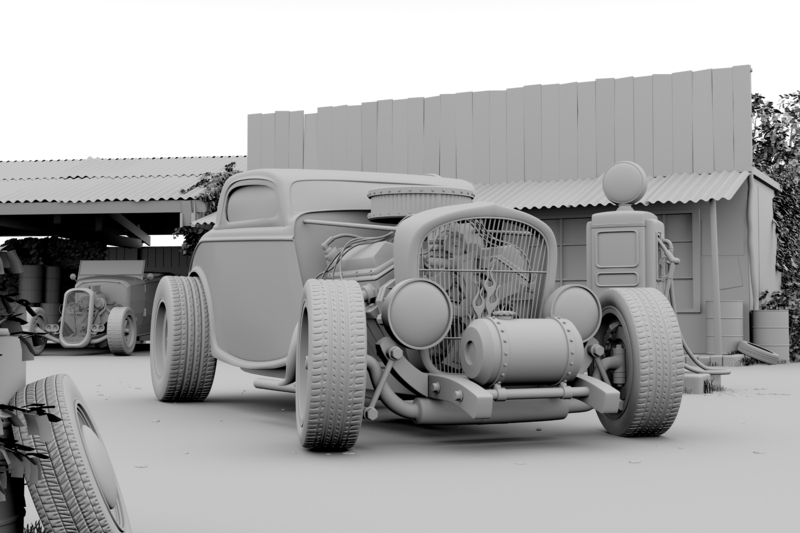 No stock or pre-modeled models used.